Blogs - KJ Kuchling Consulting Ltd. 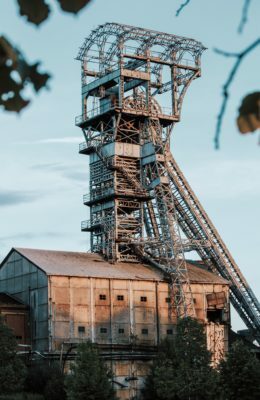 I recently wrote a blog about how Artificial Intelligence (AI) is now being used by the exploration side of the mining industry. My curiosity was whether the application of AI is going to be real or is it just being used as a buzzword to help promote companies. You can read that blog at this link “AI vs The Geologists”. With the topic of buzzwords in mind, I was curious about some of other technology advances we hear about. Coincidentally Canadian Mining Magazine (Winter 2019 issue) published two articles on upcoming technologies, the links are provided here; blockchain and robotic process automation. As with AI, I’m still curious about these two, mainly due to the limited number of applications thus far. With regards to blockchain, it seems to me the main benefits are being related to supply chains, whether for purchasing or selling activities. Some of the examples given are that one can verify where the cobalt in your phone was mined or where your engagement diamond is from. Oddly though, I don’t recall ever wanting to know where the metal in my phone is from. 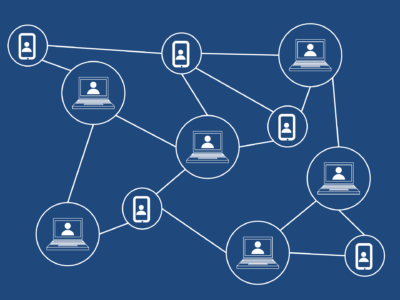 Other example applications of blockchain are for inventory management, shipment number tracking, transport log tracking, and bill of lading management. The advantages are transaction speed, trust, and traceability. Currently there are many ways shipping and receiving activities are being tracked. Hence I am a bit unclear as to where blockchain will provide a groundbreaking improvement. Can’t well designed cloud database achieve the same thing? Blockchain reportedly has improved security in that copies of its tracking “ledgers” are simultaneously hosted on multiple servers and hence are hack-proof. Thus far in my career I have not yet had any direct experience with a real life application of blockchain. Therefore it is a bit difficult to say whether it is a great business innovation or a great business promotion. Perhaps some of you have had experience with actual blockchain applications in the mining industry. Please let me know and I will follow up. So far I am still on the fence. We have seen in manufacturing that robotics will eliminate repetitive type jobs. Will robotic process automation (rPA) be able to do the same by completing repetitive tasks for us? The types of tasks being targeted for rPA are real time data analysis, daily- weekly-monthly reporting, tracking real time costs and progress schedules, or in other words, monitoring system wide process inputs and outputs. Having access to real time data is important and it is a growing trend worldwide in all industries. In my view, mine site wide data integration is a key to the future of mining, especially when combined with AI, data mining, and data analysis. It is great to have the ability to instantly know exactly what is going on everywhere at a mine site. It is also great to know what went on in the previous hour, 24 hours, or 30 days. Modern sensor technology is such that almost anything can be monitored now in real time. Will an action in one part of the operation trigger an impending impact in another part of the operation? For example can a large blast in the pit result in excess vibrations leading to tailings dam creep at the same time and is someone monitoring something this simultaneously? There are many action-reaction type events that occur in a mining operation, each with operational or cost impact. Only technology is able to instantly monitor all of these activities, assess their impacts, and provide quick decisions. Collecting hoards of data from a site wide sensor network creates a dilemma in what to do with all the data collected. Smart cities are running into this issue. 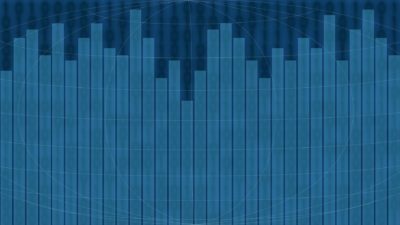 Who can sort through the data, decide what is important and what is noise, then summarize the data and report on it in real time? A human cannot deal with the amount of data being collected in such networks. I have seen companies use fleet dispatch systems to collect gigabytes of data but then have difficulty in analyzing and making sense of it all. Sometimes the dispatch data is simply used to produce a month end production report. This is one example of where process automation may play a bigger role. I don’t see repetitive process automation eliminating many jobs. Rather it may even increase the jobs needed to maintain and operate the virtual networks. Employment aside, I see the benefit of rPA is having a better understanding of the functioning organism called a mining operating. An operation is essentially an organism with lots of moving parts constantly making decisions requiring emotional intelligence. Regarding the two technologies discussed in this blog, I personally feel robotic process automation will have far greater impact on mining industry future and its profitability. For many years we have already seen some application of this technology (i.e. just in the mine or just in the plant). With improving sensors, increased computing power, AI, and cloud data storage, I feel that site wide integrated robotic process automation will lead the way. In my view blockchain has not yet made the case for itself. No doubt I need more education on blockchain but that will hopefully come naturally as some real life applications are introduced into our daily activities. Read the Canadian Mining Magazine articles linked to above and see what you think the future holds for mining. We likely have all seen recent articles about how Artificial Intelligence (AI) is going to change the mining industry. I have been wondering if AI is a real solution or just a great buzzword. My original skepticism has diminished somewhat and let me explain why. At a booth at the 2019 PDAC I had a chance to speak with a publicly traded company called Albert Mining (referencing Albert Einstein’s intelligence). They are providing exploration consulting services by applying a form of AI and have been doing so for many years. The company has been around since 2005 but were not using the term AI to describe their methods. These days the term “AI” has become very trendy. Currently IBM Canada and Goldcorp are using Watson and AI to further their exploration efforts on the Red Lake property. 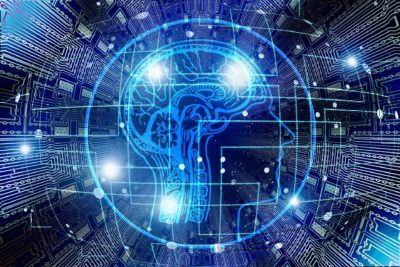 GoldSpot Discoveries is another recent player in the mining AI field. It appears Goldspot offers something similar to Albert Mining but they extend their platform to include picking projects, picking teams, and picking investments. That’s a lot of analysis to undertake. Albert Mining is focused solely on mineral exploration. Albert Mining’s system, called CARDS (Computer Aided Resource Detection System) uses pattern recognition and multi-variate analysis to examine a mineral property to look for targets. The system requires that the property has some known mineralization hits and assay samples. These are used to “teach” the software. Both positive hits and negative hits are valuable in this teaching step. The exploration property is sub-divided into cells and data are assigned to each cell. These data attributes could be derived from geophysics, geochemistry, topography, soil samples, indicator minerals, assayed samples, geological maps, etc. I was told that a cell could contain over 700 different data attributes. The algorithm then examines the cell data to teach itself which attributes correlate to known mineralization and which attributes correlate with barren areas. It essentially determines a geological “signature” for each mineralization type. There could be millions of data points and combinations of attributes. Correlation patterns may be invisible to the naked eye, but not to the computer algorithm. Once the geological signatures are determined, the remainder of the property is examined to look for similar signature hits. Geological biases are eliminated since it is all data driven. The newly defined exploration targets are given a ranking score based on the extent of correlation. Some things to note are that the system works best for shallow deposits, unless one has some deep penetrating geophysical surveys. The system works best if there is fairly uniform data coverage across the entire property. 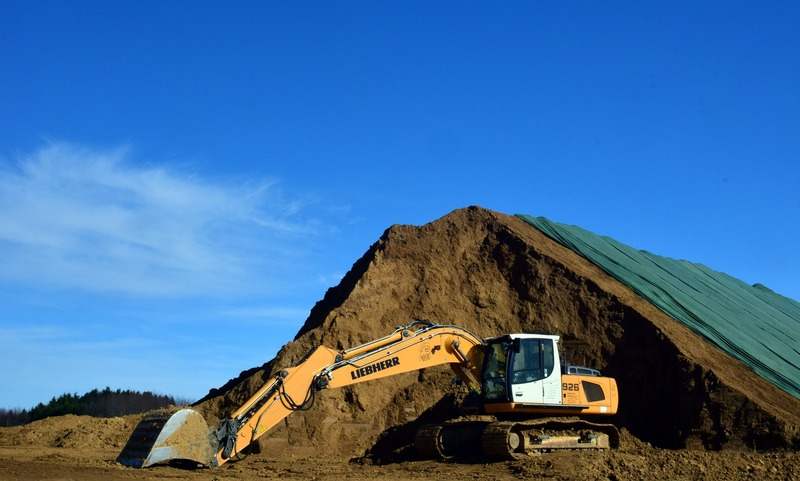 The property should also have generally similar geological conditions and as mentioned before, the property needs to have some mineralized assay information. This exploration approach reminds me somewhat of the book Moneyball. This book is about the Oakland A’s baseball team where unconventional statistics were used to rank players in order to find hidden gems. I was told that many in the geological community tend to discount the AI approach. Either they don’t think it will work or they are fearing for their jobs. Personally I don’t understand these fears nor can I really see how geologists can ever be eliminated. Someone still has to collect and prepare the data as well as ultimately make the final decision on the proposed targets. I don’t see the downside in using AI as another tool in the geologist’s toolbox. Albert Mining’s stock price has recently gained some traction (note: I am not promoting them) because junior mining news releases are starting to mention their name more often (Spruce Ridge Resources and Falco Resources are some examples). Probably years ago if a mining company said their drill targets were generated by an algorithm, they might have gotten strange looks. 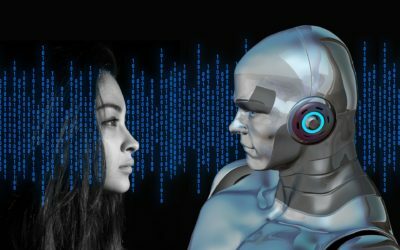 Today if a mining company says their drill targets were generated by AI, it gives them a cutting edge persona. Times have changed. I suggest we all take a closer looks at the AI technology to better understand what it does. P.S. I might also suggest that Albert Mining consider revising their company name to incorporate the term “AI” to stay on trend. 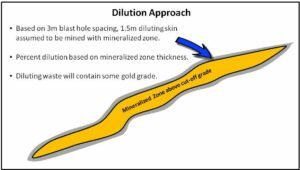 A few months ago I wrote a blog about different approaches that mining engineers are using to predict dilution in an open pit setting. You can read the blog at this link. Since that time I have been in touch with the author of a technical paper on dilution specifically related to underground operations. 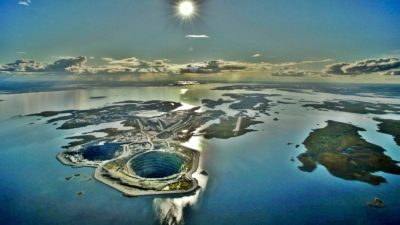 Given that my previous blog was from an open pit perspective, an underground discussion might be of interest and educational. The underground paper is titled “Mining Dilution and Mineral Losses – An Underground Operator’s Perspective” by Paul Tim Whillans. You can download the paper at this link. For the underground operator, dilution is often synonymous with over-break, which mining operations struggle to control. 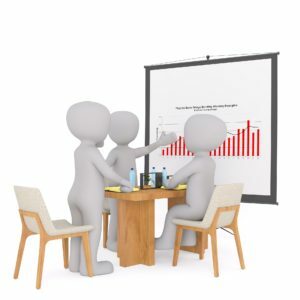 However, there are many additional factors impacting dilution which may surpass the importance of overbreak, and these also need to be considered when assessing a project. Among these, ore contour variability is an important component of both dilution and mineral losses which is often overlooked. Mineral losses are often considered to be less important because it is considered that they will only have a small impact on net present value. This is not necessarily the case and in fact mineral losses may be much higher than indicated in mining studies due to aggregate factors and may have an important impact on shorter term economics. I am not going into detail on Paul’s paper, however some of my key takeaways are as follows. Download the paper to read the rationale behind these ideas. Over-break is a component of dilution but may not be the major cause of it. Other aspects are in play. While dilution may be calculated on a volumetric basis, the application of correct ore and waste densities is important. This applies less to gold deposits than base metal deposits, where ore and waste density differences can be greater. Benchmarking dilution at your mine site with published data may not be useful. Nobody likes to report excessively high dilution for various reasons, hence the published dilution numbers may not be entirely truthful. Ore loss factors are important but can be difficult to estimate. In open pit mining, ore losses are not typically given much consideration. However in underground mining they can have a great impact on the project life and economics. Mining method sketches can play a key role in understanding underground dilution and ore losses, even in today’s software driven mining world. Its possible that many mine operators are using cut-off grades that are too low in some situations. High grading, an unacceptable practice in the past, is now viewed differently due to its positive impact on NPV. (Its seems Mark Bristow at Barrick may be putting a stop to this approach). Inferred resources used in a PEA can often decrease significantly when upgraded to the measured and indicated classifications. If there is a likelihood of this happening, it should be factored into the PEA production tonnage. 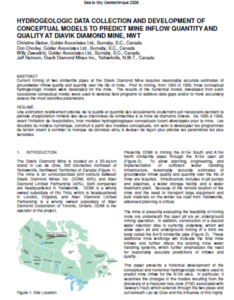 CIM Best Practice Guidelines do not require underground ore exposure for feasibility studies. 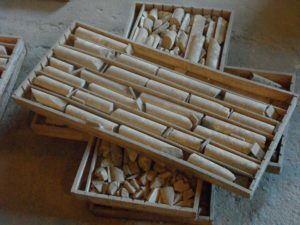 However exposing the ore faces can have a significant impact on one’s understanding of the variability of the ore contacts and the properties of minor faults. Not everyone will necessarily agree with all the conclusions of Paul’s paper on underground dilution. However it does raise many issues for technical consideration on your project. 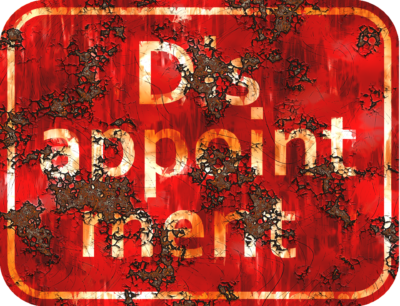 All of us in the industry want to avoid some of the well publicized disappointments seen on recent underground projects. Several have experienced difficulty in delivering the ore tonnes and grades that were predicted in the feasibility studies. No doubt it can be an anxious time for management when commissioning a new underground mine. Note: previously I had shared another one of Paul’s technical papers in a blog called “Underground Feasibility Forecasts vs Actuals”. It also provides some interesting insights about underground mining projects. If you need more information, Paul Whillans website is at http://www.whillansminestudies.com/. It doesn’t matter how long you have worked in the mining industry, at some point you will probably have taken part in a due diligence review. You might have been asked to help create a data room. Perhaps your company is looking at a potential acquisition. Maybe you’re a consultant with a particular expertise needed by a due diligence team. It’s likely that due diligence has impacted on many of us at some point in our careers. The scope of a due diligence can be exceptionally wide. There are legal, marketing, and environmental aspects as well as all the technical details associated with a mining project. The amount of information provided can be overwhelming sometimes. Checklists are great and they can be very helpful in a due diligence review. A scope checklist is a great way to make sure things don’t fall through the cracks. A checklist helps keep a team on the same page and clarifies individual roles and tasks. Checklists bring focus and minimize sidetracking down unnecessary paths. Recognizing this, I have created a personal due diligence checklist for such times. A screen shot of it is shown below. The list is mainly tailored for an undeveloped project but it still has over 230 items that might need to be considered. Not all of the items in the checklist are required for each review. Maybe you’re only doing a high level study to gauge management’s interest in a project. Maybe you’re undertaking a detailed review for an actual acquisition or financing event. It’s up to you to create your own checklist and highlight which items need to be covered off. The more items added the less risk in the end; however that requires a longer review period and greater cost. You a create your own checklist but if you would like a copy of mine just email me at KJKLTD@rogers.com. Specify if you would prefer the Excel or PDF versions. Please let me know if you see any items missing or if you have any comments. Now that we have an idea of what information we need to examine in a due diligence, the next question is where to find it. 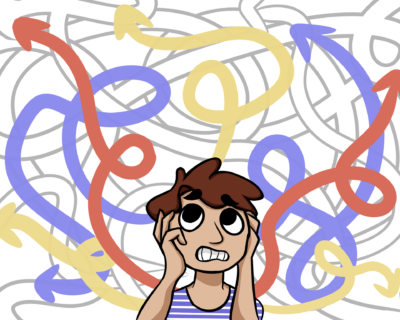 Previously I had written a blog titled “Due Diligence Data Rooms – Help!” which discussed how we can be overwhelmed by a poorly set up data room. My request is that when setting up a data room, please consider the people who will be accessing it. Due diligence exercises can be interesting and great learning experiences, even for senior people that have seen it all. However they can also be mentally taxing due to the volumes of information that one must find, review, and understand all in a short period of time. Some people are better at due diligence than others. It helps if one has the ability to quickly develop an understanding of a project. It also helps to know what key things to look for, since many risks are common among projects. Over my years of preparing and reviewing mining studies, ore dilution often seems to be a contentious issue. It is deemed either too low or too high, too optimistic or too pessimistic. Everyone realizes that project studies can see significant economic impacts depending on what dilution factor is applied. Hence we need to take the time to think about what dilution is being used and why. Everyone has a preferred dilution method. I have seen several different approaches for modelling and applying dilution. Typically engineers and geologists seem to have their own personal favorites and tend to stick with them. Here are some common dilution approaches. This approach is quite simple. Just pick a number that sounds appropriate for the orebody and the mining method. There might not be any solid technical basis for the dilution value, but as long as it seems reasonable, it might go unchallenged. This approach takes each percent block (e.g. 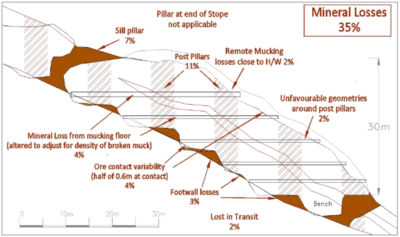 a block is 20% waste and 80% ore) and mathematically composites it into a single Selective Mining Unit (“SMU”) block with an overall weighted average grade. The SMU compositing process will incorporate some waste dilution into the block. Possibly that could convert some ore blocks to waste once a cutoff grade is applied. Some engineers may apply additional dilution beyond SMU compositing while others will consider the blocks fully diluted at the end of this step. This approach assumes that a waste envelope surrounds the ore zone. One estimates the volume of this waste envelope on different benches, assuming that it is mined with the ore. The width of the waste envelope may be correlated to the blast hole spacing being used to define the ore and waste mining contacts. The diluting grade within the waste envelope can be estimated or one may simply assume a more conservative zero-diluting grade. In this approach, the average dilution factor can be applied to the final production schedule to arrive at the diluted tonnages and grades. Alternatively, the individual diluted bench tonnes can be used for scheduling purposes. This dilution approach uses complex logic to look at individual blocks in the block model, determine how many waste contact sides each block has, and then mathematically applies dilution based on the number of contacts. Usually this approach relies on a direct swap of ore with waste. If a block gains 100 m3 of waste, it must then lose 100 m3 of ore to maintain the volume balance. The production schedule derived from the “diluted” block model usually requires no subsequent dilution factor. When is the Cutoff Grade Applied? 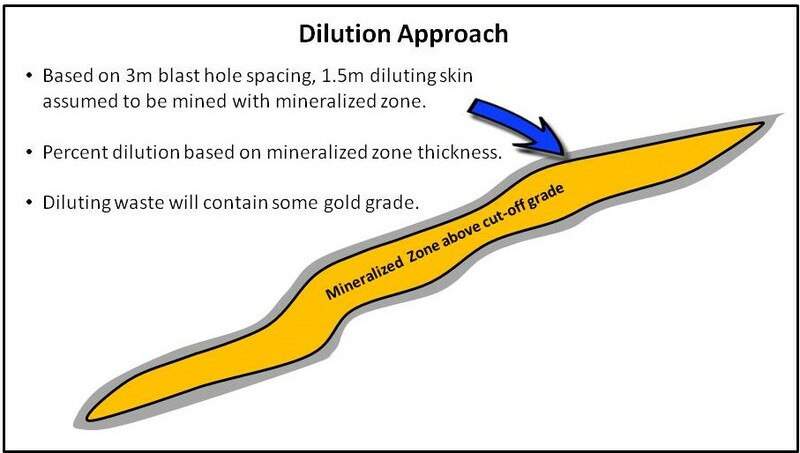 Depending on which dilution approach is used, the cutoff grade will be applied either before or after dilution. When dilution is being added to the final production schedule, then the cutoff grade will have been applied to the undiluted material (#1 and #2). When dilution is incorporated into the block model itself (#3 and #4), then the cutoff grade is likely applied to the diluted blocks. The timing of when to apply the cutoff grade will have an impact on the ore tonnes and had grade being reported. Does one apply dilution in pit optimization? Another occasion when dilution may be used is during pit optimization. There are normally input fields for both a dilution factor and an ore loss factor. Some engineers will apply dilution at this step while others will leave the factors at zero. There are valid reasons for either approach. My preference is use a zero dilution factor for optimization since the nature of the ore zones will be different at different revenue factors and hence dilution would be unique to each. It would be good to verify the impact that the dilution factor has on your own pit optimization, otherwise it is simply being viewed as a contingency factor. My personal experience is that, from a third party review perspective, reviewers tend to focus on the final dilution number used and whether it makes sense to them. The actual approach used to arrive at that number tends to get less focus. Regardless of which approach is being used, ensure that you can ultimately determine and quantify the percent dilution being applied. This can be a bit more difficult with the mathematical block approaches. Readers may yet have different dilution methods in their toolbox and I it would be interesting to share them. I recently attended the Money Show here in Toronto to learn a bit more about personal finanace, investing strategies, and to check out the latest stock analysis software. There was also a trade show, but only one mining company booth was present. This definitely wasn’t the PDAC. Interestingly there were about five marijuana company booths, so that is where the promotion is today. The lone mining company was Globex Mining, here is their website. They referred to themselves as a “mining bank”, so that was something that peaked my interest. Speaking with their president, Jack Stoch, he gave me an overview on their business model. As I understood it, GLOBEX’s model is to acquire a portfolio of mineral properties. They would try to enhance their value by undertaking some limited geological work. Finally they would option, JV, or sell the property while retaining an NSR royalty. Mr. Stoch told me that Globex currently has over 140 land packages in their inventory. Their properties will be at different stages. Some have resource estimates, others only mineralized drill intersections, mineral showings, untested geophysical targets, or combinations of these. They are focusing their acquisitions on lower risk jurisdictions like Quebec, Ontario, Nova Scotia, New Brunswick, Tennessee, Nevada, Washington, and Germany. They try to acquire historical mines that have old shafts, following the adage the best place to find a new mine is next to an old mine. They also have some industrial mineral properties. Globex’s only NSR revenue property right now is a zinc project in Tennessee that can generate a seven-figure royalty each year, when that operation is up and running. Unfortunately for Globex the zinc operation has not been in consistent operation the last few years. I like the concept that Globex are promoting. I like the idea of having a one-stop shop that acquires and options out exploration properties to mining companies looking for new projects. I also like the idea of trying to consolidate land packages in an area, minimizing the patchwork of multiple ownership claims that can hinder advanced development. Globex hope that by putting time and effort into a bunch of properties a few of them will pay off. If they can generate sufficient NSR revenues, the company may get to the self-sustaining stage. The idea of companies involving themselves in a portfolio of early stage prospects isn’t new. This has been being done by EMX Royalty Corp (formerly Eurasian Minerals) for properties around the globe. Abitibi Royalties is also doing something vaguely similar, whereby they would help fund prospectors in exchange for a long term royalty on a property. There are likely others. There is a high risk to being successful but the cost of entry is relatively low. It will be interesting to watch Globex over the longer term to see how many properties they can acquire and how many of these will pay off. Spending a bit of money on mapping and exploration on a property may benefit them by increasing value in the eyes of potential partners. Statistically, mineral exploration is a high risk game but by limiting expenditures and diversifying the portfolio, some of that risk can be mitigated. Over the couple of years I have been working on a side project in the tech industry. One of the things that struck me was the hiring of interns, both paid and unpaid. I’m now aware that interns are being hired in other industries such as legal, politics, journalism, and marketing. However I have never come across the use of interns within the mining industry. I was recently talking to a marketing consultant about tips on tech marketing and one of the suggestions she made was to hire an unpaid intern. They would do much of the legwork of finding sales contacts and establishing contact with them. For school credit; as part of a course credit in college or university where an internship is part of the program requirement. For experience; it is difficult to get a real job without experience and so the internship teaches, builds experience, and establishes a portfolio of work. Networking; building up industry connections can possibly lead to permanent work down the road. At first I was taken aback at the thought of asking someone to work for my company for free. Are we that cheap? Thinking about it further, if you are paying someone a salary the expectation is that they should be somewhat skilled at their job. I have come to realize that the internship may actually be a win-win for both parties. The company gets a chance to learn about potential employees and also gets productive service from them. The intern gains employment experience and learns about the realities of the business world. Students have already paid the schools to teach them. Now businesses can help teach them more, but at no cost. It’s a win-win for both. So how did our unpaid intern search go? We posted a free ad on indeed.ca. Within 72 hours we received over ten replies, of which only 2-3 came close to meeting the actual qualifications. Some of the applicants had no relevant experience at all. 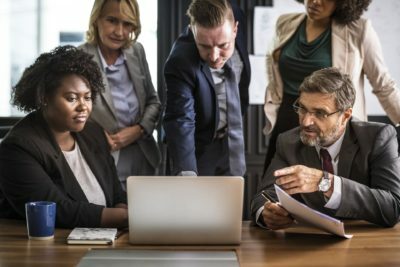 Possibly in today’s job market people are willing to work for free on the hope that they can get some experience, which will hopefully lead to a permanent job in the future. The question is whether the mining industry can make use of interns in the areas of geology, engineering, marketing, presentation graphics, websites, etc? There may be many students or recent grads looking for an opportunity and are willing to do whatever it takes to advance their careers. 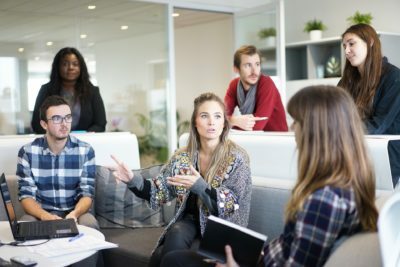 Even if your operating budget can’t afford the cost of hiring another person, you may still have a chance to help out someone new in the industry. I recently attended a CIM Management and Economics Society presentation here in Toronto discussing the differences between actual underground production versus the forecast used in the feasibility study. The presenter was Paul Tim Whillans from Vancouver Canada. His topic is interesting and relevant to today’s mining industry. Paul raised many thoughtful points supported by data. He gave me permission to share his information. The abstract for his paper is inerted below. The paper can be downloaded at this LINK and here are the presentation slides. “An underground mining study that is done in accordance with NI43-101, JORC or similar reporting code is generally assumed by the public to be representative, independent and impartial. However, it has been well documented by academics and professionals in our industry that there is a sharp difference between the forecasts presented in these underground studies and the actual costs when a mine is put into production. 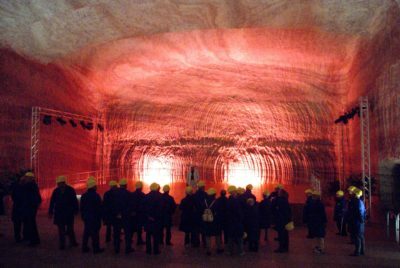 For underground mines, the risks associated with obtaining representative information are much greater than for surface mining and the cost of accessing underground ore is also proportionally much greater. There is a pressing need to align expectations, by improving the accuracy of projections. This will result in reduced risk to mining companies and investors and provide more reliable information to government agencies, the public, and more importantly, the communities in which the proposed mine will operate. I agree with many of the points raised by Paul in his study. The mining industry has some credibility issues based on recent performance and therefore understanding the causes and then repairing that credibility will be important for the future. Credibility ultimately impacts on shareholder returns, government returns, local community benefits, and worker health and safety; so having a well designed mine will realize benefits for many parties. During the recent years, the slowdown in the mining industry has given me time to pursue a few side interests. Writing this mining blog was one of those interests. Windshieldink’s messaging platform allows anyone to anonymously assign an email address to a license plate. Others can send messages to those vehicle owners using the mobile app and the vehicle license plate number. Registering a license plate with Windshieldink is free. The app provides users the options of receiving their messages via e-mail and phone texts. You also have the option of receiving app push notifications, or attaching contact information, or attaching a GPS location within the message. There is also an in-app chat functionality. Based on personal experience, the desire to be reachable in an emergency via my license plate number was recognized as far back as the mid-1990’s. Its becoming even more recognized as new vehicles, driverless vehicles come on to our the roadways daily. Primarily businesses, such as fleet operators, delivery services, city maintenance services can register thousands of their plates and assign a safety office email or dispatcher to each. The public can then provide feedback on problem drivers. The Windshieldink messaging platform will function globally. However our primary focus is North America due to our limited marketing capacity. The app is now free to download from Google Play Store and App Store and hopefully simple to use. Learning how the tech world operates, has been an eye opener for someone who has working in the mining industry their entire life. Here is a video on how the app works. There are a lot of sources of mining information on the internet. These encompass topics such as technical articles, analyst opinions, and company press releases. If your interest is largely company news releases, what is the best way to get these? One way is to go to the individual company website and sign-up one their mailing list. This approach generally works well but it forces you to sign up on a myriad of websites if you intend to follow a lot of companies. One option is to sign-up for a free account with a newswire service where you can select specific companies to follow. You will get emailed news releases as soon as they are disseminated. The nice thing here is that you can select mining companies, non-mining public companies, as well as entire industries. Here are some that I personally use. Marketwire: There you can create a “Hot Off the Wire” account and then select your companies of interest. You can also select entire industries to add to your company list. CNW Group Ltd. Create an account at Cision and search various companies to add to your “My Subscriptions” list. Junior Mining News is another source to get general news updates via their daily newsletter (see screenshot). Their daily email gives a brief summary of today’s news events and includes “Read More..” links if you want the entire press release. This website accesses some of the same news release distributors as mentioned above so there could be some repetition from time to time. Using the services described above, it’s easy to sign up for multiple companies, too many companies in fact. Its easy to get inundated with emails. Public companies need to keep an active news flow and some companies are very good at it. By using the press release distribution websites you are consolidating your requests, thereby making it easier to control the amount of information you want to receive. Feel free to share your method for tracking companies, whether using some of the same services or something entirely different.